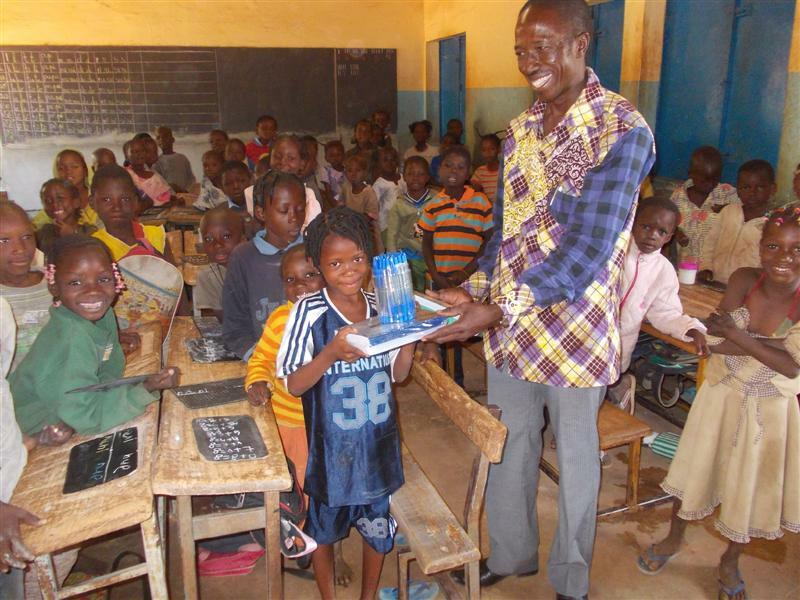 In January 2007, Paper for All distributed 750 notebooks to the 701 pupils and 20 books to the teachers of the elementary school (8 classrooms). Our main aim for this third action was to make sure that all children had at least one notebook to write their lessons. Our secondary aim was to start addressing another need: books. Each classroom of 90 pupils now has 2-3 books. This should improve the learning conditions. Much remains to be done though, so that these children, who show such energy and are so proud to become educated, can learn in proper condition and themselves contribute to the education of the next generation! 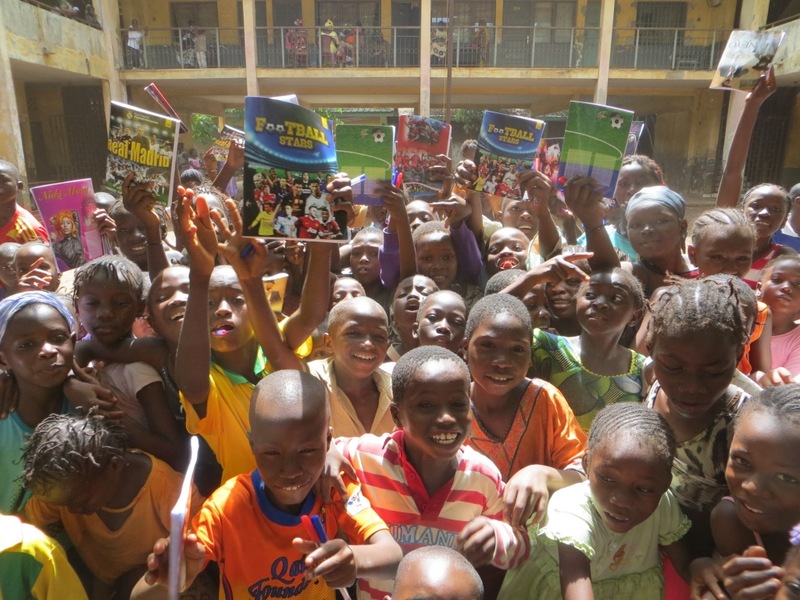 - The 701 children were very proud and happy to each have their own notebook to write upon. Education is really of prime importance to them. Ultimately, it will allow them to improve the situation in their country. - The teachers are very happy as their teaching conditions are improving as well. 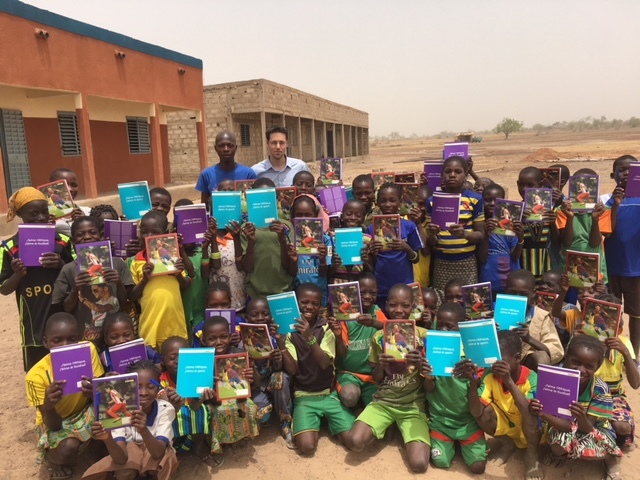 They now have books for their classrooms and can have 2-3 books shared among their pupils to make them read and help them learn.